Desert View Watchtower, Grand Canyon. 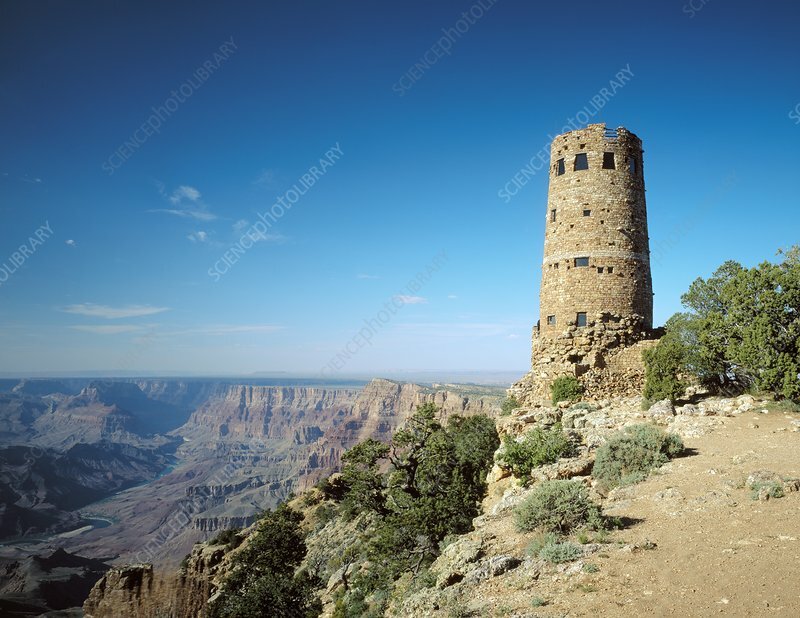 This stone tower, 21 metres tall, is located on the South Rim of the Grand Canyon, in Arizona, USA. The eroded cliffs of the Grand Canyon, and a bend of the Colorado River, are at left. The tower is a four-storey structure, designed by US architect Mary Colter (1869-1958) and completed in 1932. It was designed to provide views over the Grand Canyon, and to house tourist exhibits. It was designated a National Historic Landmark in 1987, and became part of the surrounding historic district in 1995. This photograph is from between 1980 and 2006.